Happy International Women’s Day! Get inspired by some of our favorite shots from lady Instagrammers who rule #RenoTahoe. Hope these photos inspire you to celebrate the rad women in your life and take more incredible adventures in Reno, Lake Tahoe and beyond! Hannah Thornton is a GoPro and Adidas Ambassador, Reno Tahoe local and lover of all things outdoor and adventure related. Let Hannah be your guide to all things Reno Tahoe! Local dog-lover Breeze Turner and her pup, Marley, experience Reno Tahoe culture best by paddleboarding on the cool waters of Lake Tahoe. Abbey Kay is a local blogger and product photographer who loves Reno and all of its places to have fun! She is obsessed with donuts and coffee and enjoys taking photos of both all around town. Laura Lawson Visconti is a social influencer/world traveler who is based out of Tahoe. Expect lots of photos of Laura sharing travel, adventure and pushing boundaries! 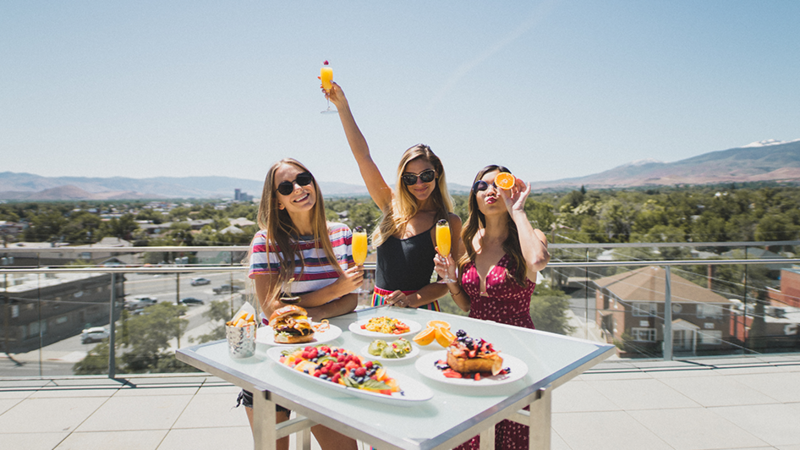 Check out these other leading ladies and their Instagram-worthy spots around Reno Tahoe! Follow @RenoTahoe on Instagram for more picturesque shots!